Hi all! 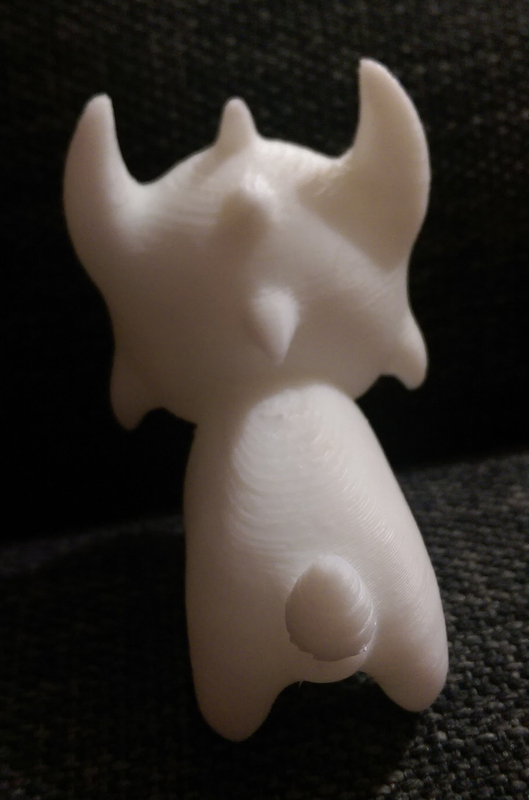 We've got some Maruchi 3D Printed Figures up for sale. At the moment, we are offering untreated, treated and primed figures. In the future, a select number of painted figures will be available. The figures are approximately 7cm long x 5cm wide x 8cm tall. They are 3D printed by us and are quite light, but strong. Treated figures have been smoothed in Acetone vapor. They have a shiny finish, and the layer lines are now invisible. 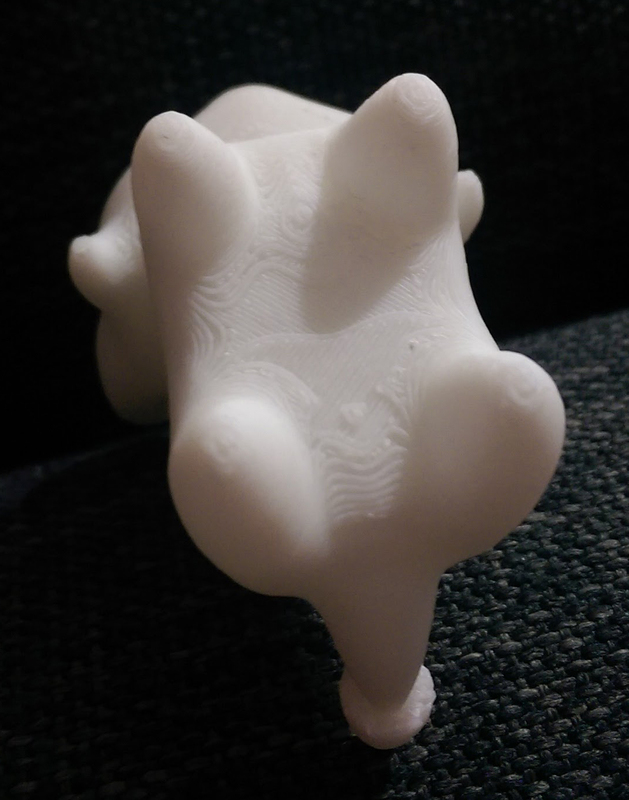 On some models, air bubbles can form and create small holes - this seems to particularly happen on the underbelly. We fix these as we can, but can't guarantee they won't occur. If you consider yourself an artist, this is the option for you. 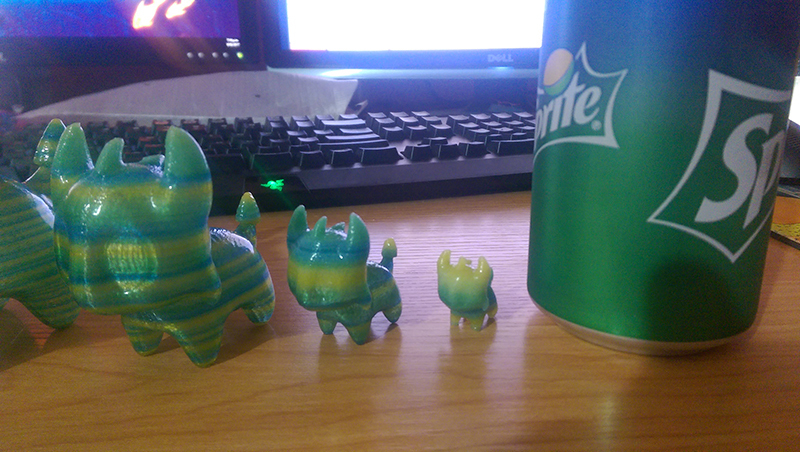 These models have been smoothed in acetone vapor, and then coated with a primer. They are ready for acrylic paint to be applied to them. We have had mixed experiences with different brands of paint so can't guarantee that any particular paint will stick well to the primer, but we can give advice as to brands that seem to work well! Additionally, there are some alternative colors here: https://store.3dprintingsystems.com/filaments/value-abs - however, we have not tested this brand of filament, so can not guarantee good quality prints. The price for the three options is below. Shipping is the same as a single uchi plush (see https://www.clickcritters.com/uchi_plush.php). If you want to order more than one, please PM me for shipping costs. Additionally, we will be releasing limited numbers of painted models - painted by Quetzal. These will be released in limited quantities as they are completed - you can not pre-order these. There is no limit to how many of these we can make, however we may stop selling them at some point in the future depending on demand. If you would like to preorder a different color, please post in this thread or send a PM to Cydewinder saying the color you are interested in. We will add you to the list, and when we get enough we will order a spool of filament. If you place a pre-order you do not have to pay the Black BC until we get the filament, but if we do get it we expect you to follow through with your order. I don't see why it wouldn't - perhaps even on the treated if you let it dry and don't smudge it. However, I'll defer to Quetzal who is the art expert - I'll point her towards this in the morning! Don't put me on the list yet though. I'd like to try to get some $BCs first. As for brands of acrylic paint, I have a couple of Marabu Decorlack colors (they look like this) and I may get more if they work. Do you have any experience with this brand and do you know if it would work well with a primed Maruchi figure? These look really awesome! I might be able to buy one, but I'll have to see if I can get enough $BC first. No longer active on CC; see my User Page for details. Do not use sharpie if you're going to use a varnish. It'll make it run. Never used that. I'm going to try pebeo paints today (very affordable student acrylic) to see how they go. The current paints I use that I do know work are model paints. Vallejo game colour is very affordable and covers well, but games workshop citadel line are a bit dearer. We've never used it before and because it's translucent we have no idea how good it will look! @Cydewinder, I'd be very interested to see how the prints look in that particular filament as well as the result when smoothed. Would the amount provided on each spool allow for the largest sized print possible and multiple smaller ones? 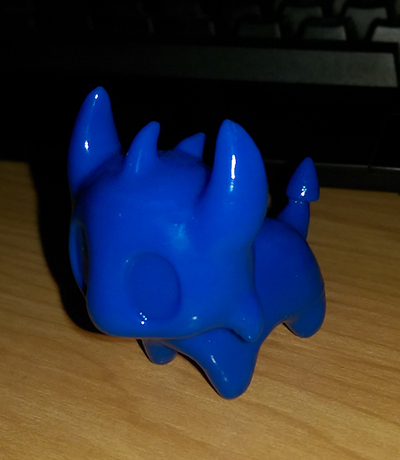 In case anyone wants a blue figure, I found a small amount of blue filament. Probably enough for 2, maybe 3 more blue maruchi. This is the same blue as the treated image above. 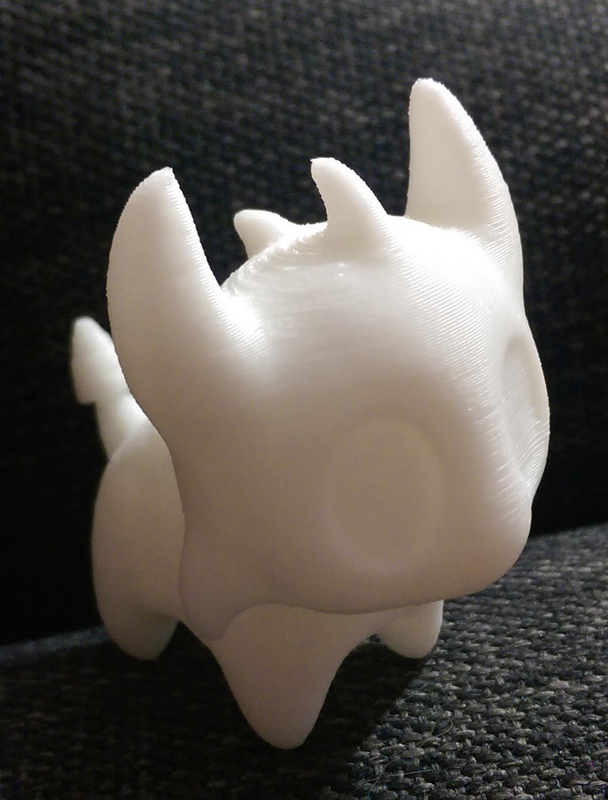 It's really rough because the temperature setting was wrong so it created lots of "spikes" when it didn't want to print anymore. I'm doing another now with a lower temperature to see if it's better. 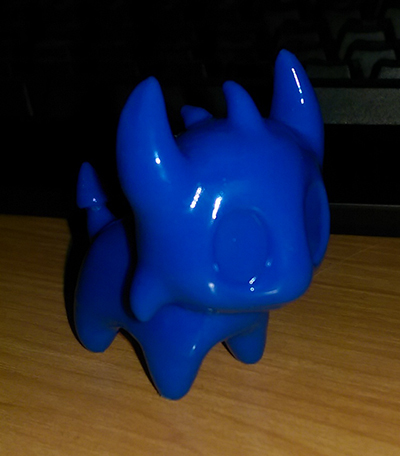 I'll also do a hollow one to see if I can get some of the translucency. Just an update if anyone's interested! 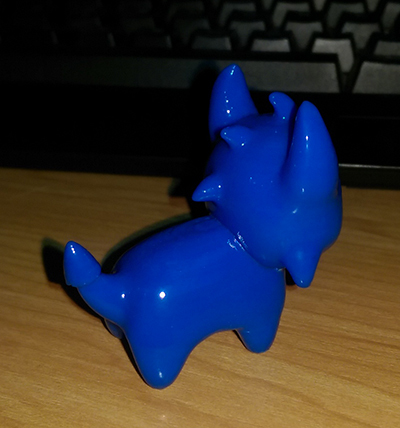 The answer may be no, but is it possible to be printed with same color as a normal maruchi ? 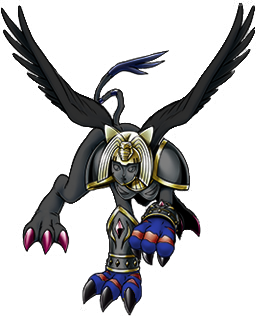 Like this one ; and obviously without the wings. Colored body, eyes with another color and so the belly and feets. @Umi: Our 3D printer (and the vast majority of 3D printers) can only print in one color. 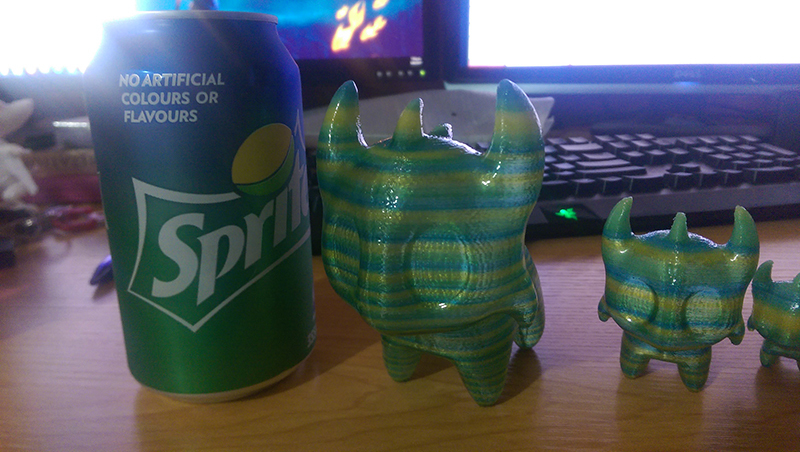 The multicolor one I posted previous is created by using a multicolored filament. It's a novelty filament, and much harder to work with! The only way to get the effect you're looking for is to paint one. @Cyde, How's the testing with the multicolor with different temperature settings and a hollow version going? Do you have any new pictures to show? Would the first test of that color be for sale? Also, would you like to post pictures of painted maruchi figures if you have some finished ones? Is there is a price in mind for these yet? Painting...... Could Quetzal paint it ô.o? when everything doesn't go right, go left. 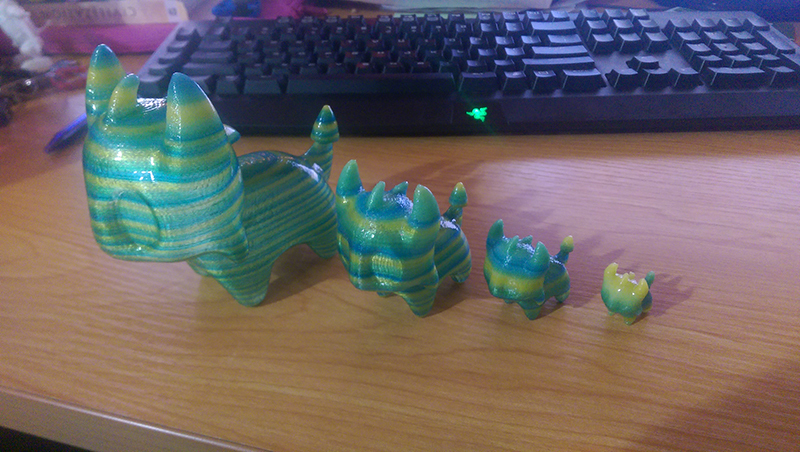 An update on the multicolor filament, and a price reduction. The tiny is the same price as the small because it takes multiple prints to get a good one. Ahhh these are so adorable, I really like the wacky multicolor in particular. I have to wonder how painting eyes onto a multicolor one would go, hmm.